The Platte River forks out into many prongs as you try to find its source in the vast South Park of Colorado. One of it steeper forks is one that heads to the high peaks surrounding Alma, just over Hoosier Pass from the ski resort town of Breckenridge. Platte River Ranch Estates are situated along this fork just south of the town called Alma. The river and the main highway between Fairplay and Alma run through this neighborhood of ranch estates so access by car is easy and so it is with the natural world. The lots are large here and half the homesites have yet to be developed. If privacy and living in a beautiful park is your desire, this neighborhood might be the place for you. Electricity is available to homesites in the neighborhood, but there is plenty of sun to go off grid. Water and sewer are already provided the tried & true ways: wells and septic systems. The soils in the vicinity will provide good water quality and drainage, so these systems are both economical and high quality, and along with the large acreage, your can choose where to site a home or barn based on views, sun orientation, ground cover rather than utilities. This is Park County, Colorado, so the property taxes are relatively low, the services competent but not over the top. If you want recycling pick up, you'll have to contract it yourself. 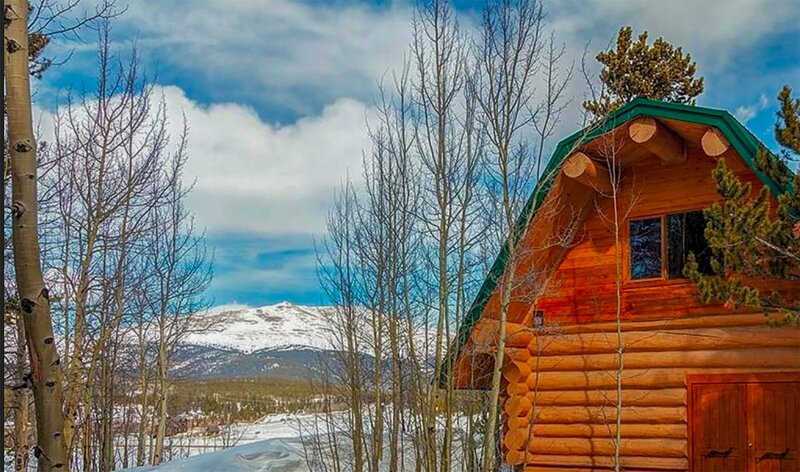 You'll have to drive or ride the daily bus over Hoosier Pass to get to Breckenridge to ski, but you can be in the National Forest within site of your home. The views are wide and tall in Park County, with some of Colorado's highest peaks hard to miss. And you can search out narrow canyons, old stagecoach routes and babbling brooks as well on the many trails in the area that are used by both summer hikers and winter crosscountry skiers. 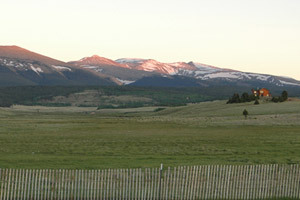 West of this fork of the Platte River are the high mountains of the Mosquito Range. Hiking, biking and ski trails can be found starting from the neighborhood or off the jeep roads that climb higher. You may be lucky and find good fishing adjacent to your property, in the neighborhood, or up Sacramento Creek. The landscapes here are less tree covered than adjacent Summit County and you'll be able to see Mount Silverheels as you explore these backcountry roads. skiing and hiking veer off from the main jeep roads. Montgomery Reservoir is just north of this valley, and beautiful but cold year round. Square Footage: 1,332 to 5,068 sq. ft.
Drive south from central Breckenridge for about 15 miles to the top of Hoosier Pass. Cross the pass and head through downtown Alma. Less than a mile from Alma's Only (Bar), the majority of the estates in Platte River Estates will be found on your left and a few to the west off Highway 9.